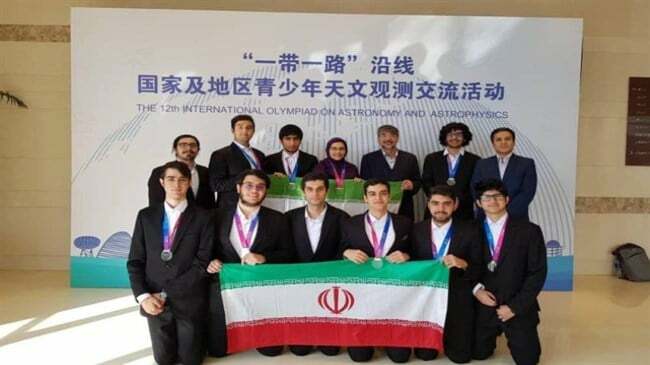 Iran emerged as the winner of the 12th International Olympiad on Astronomy and Astrophysics (IOAA 2018) in the Chinese capital of Beijing. the best results by the organization in the scientific competition over the past years. Collecting a gold, three silvers and one bronze, Iran finished in third place in the previous edition of the IOAA in Thailand. IOAA is an annual event for highly performed high school students from all around the world. Established in Thailand in 2006, it was initiated by five countries including Thailand, Indonesia, Iran, China and Poland to proliferate astronomy among high school students and foster friendship among young astronomers at international level to build cooperation in the field of astronomy in the future among young scholars. Among the countries to have hosted the event are Thailand (2007 and 2017), Indonesia (2008 and 2015), Iran (2009), China (2010), Poland (2011), Brazil (2012), Greece (2013), Romania (2014) and India (2016).